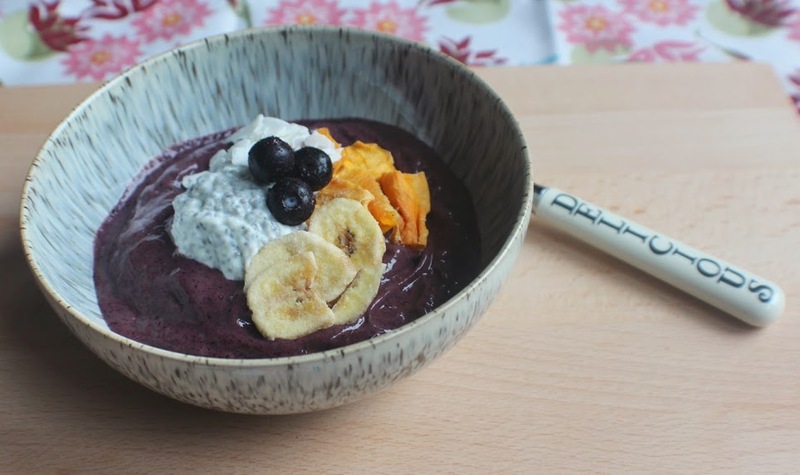 If you follow me on Instagram, you may know that I like the odd Smoothie Bowl – especially when it comes to using my favourite Kaizen Living superfoods in something like this gorgeous Chia Seed & Acai Nice Cream one! So when Alpro got in touch about getting involved in their new ‘Make Over Your Morning’ campaign, I was more than happy to oblige. The aim of this project is to inspire you to give your morning a makeover with small changes that can help you to feel happier and better able to tackle the day ahead. For me, this means starting the day with a workout then refuelling with a decent, nutritious and interesting breakfast. 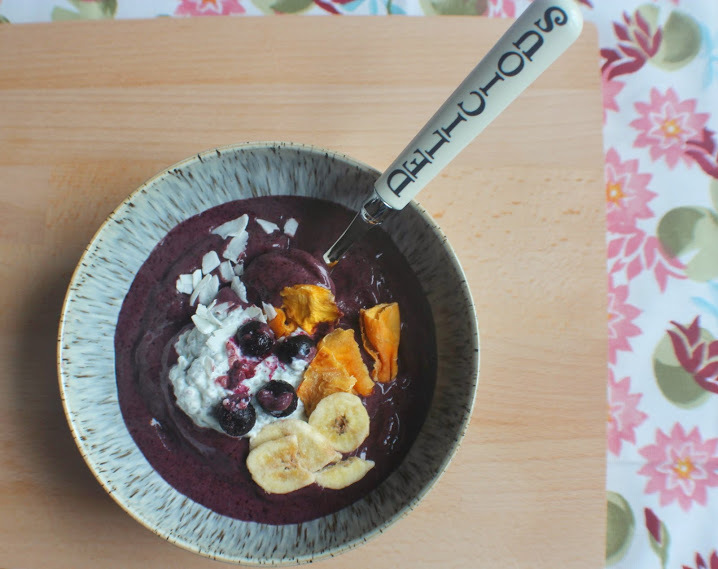 I absolutely adore yogurt and it mainly forms the base of many of my high protein breakfast creations. However it’s great that Alpro offer plant-based alternatives in their Big Pot range: Plain (soya); Coconut and Almond flavours. It’s hard to pick a favourite as they are all delicious, thick and creamy – just how ‘yogurt’ should be! 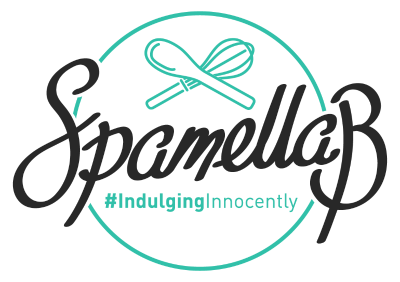 I was kindly sent an awesome branded cool bag packed with tubs of their yogurts, plus a beautiful breakfast bowl and Emma Bridgewater spoon to display my creation and a selection of tasty toppings (chia seeds; pecans; dried bananas) in cute mini kilner jars. 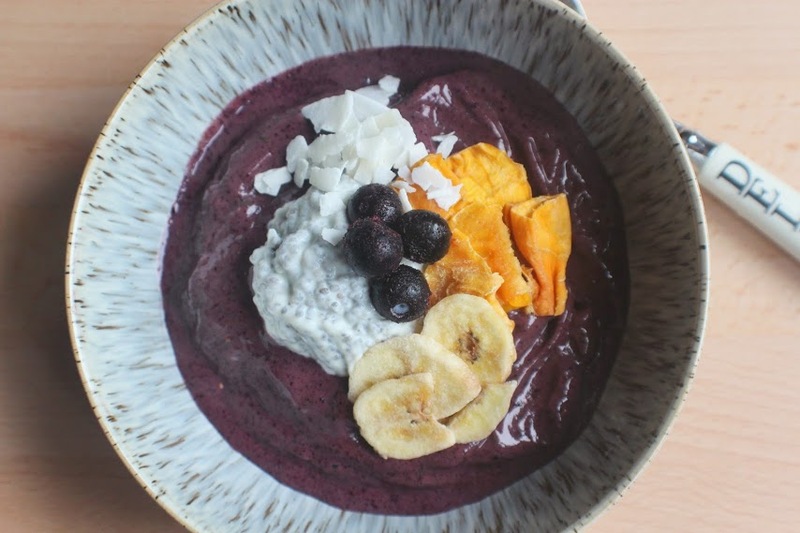 With so many ideas running through my head, I finally settled on this super healthy, nutrient-packed, filling Blueberry, Banana & Coconut Nice Cream Smoothie Bowl topped with chia seed pudding, dried bananas, coconut chips and dried mango to keep with the tropical theme. Check out the recipe below! 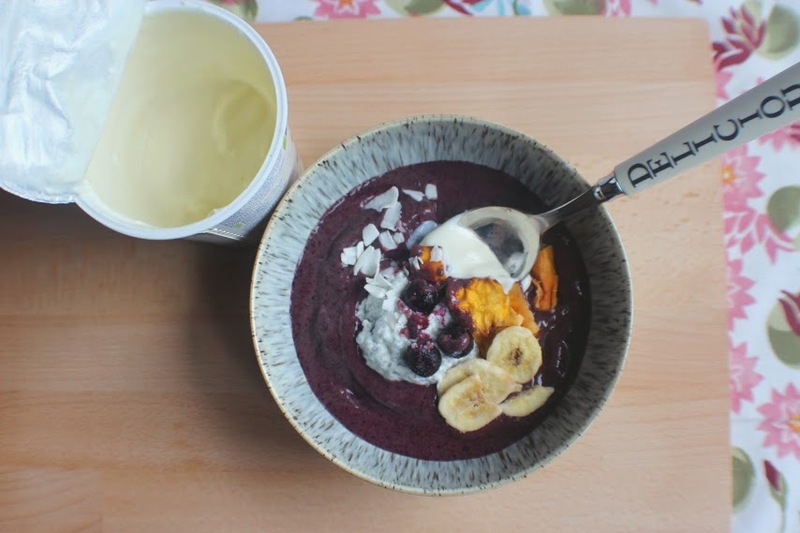 Simply place everything together in a blender and whizz up until thick and smooth. Pour between two bowls. Make this at least 30 minutes in advance: Stir all the ingredients together and leave in the fridge. The chia seeds will absorb the liquid and expand to create a ‘jam’/jelly like texture. Add a little water if too thick. Now add a spoonful or two on top of the nice cream. 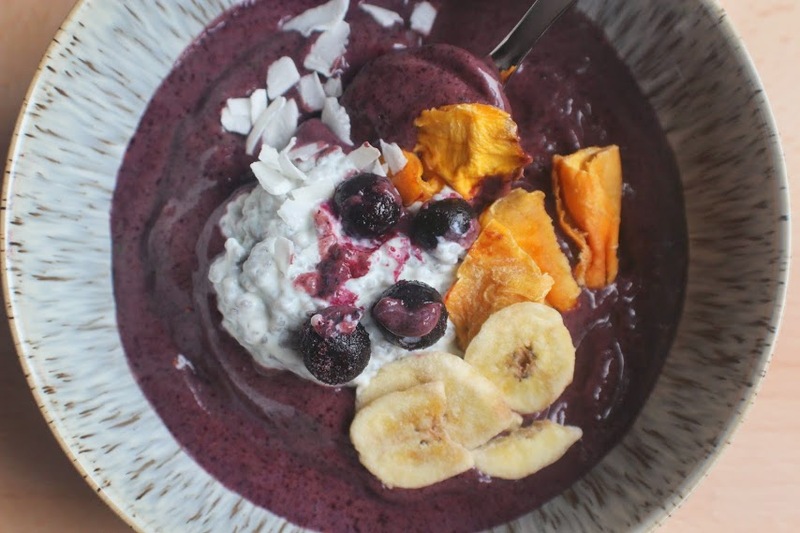 Sprinkle on top of the nice cream and chia pudding – now dig in! 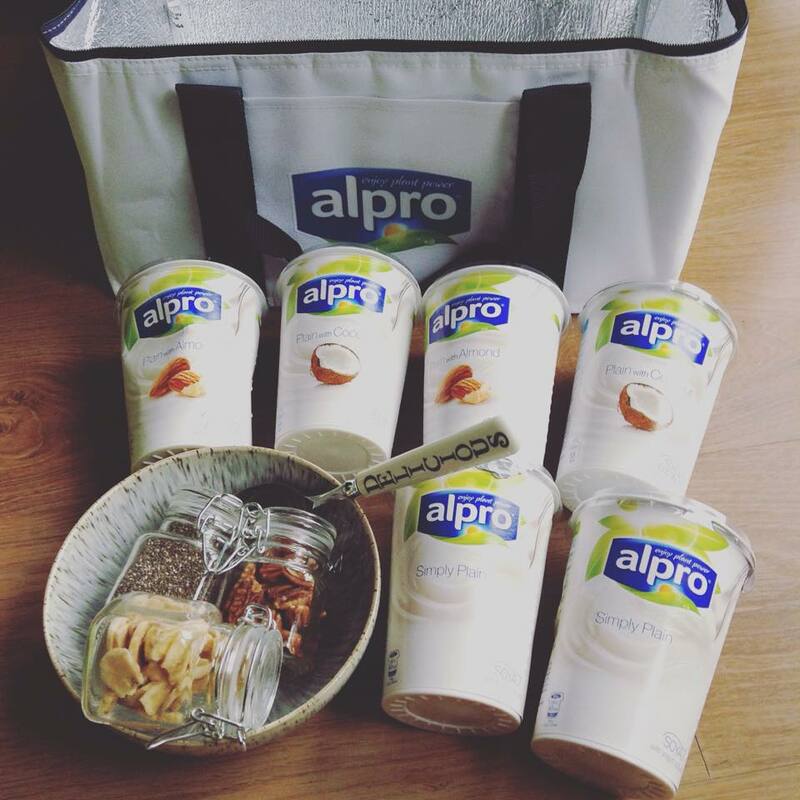 A big thanks to Alpro for inviting me to be a part of this wonderful campaign. 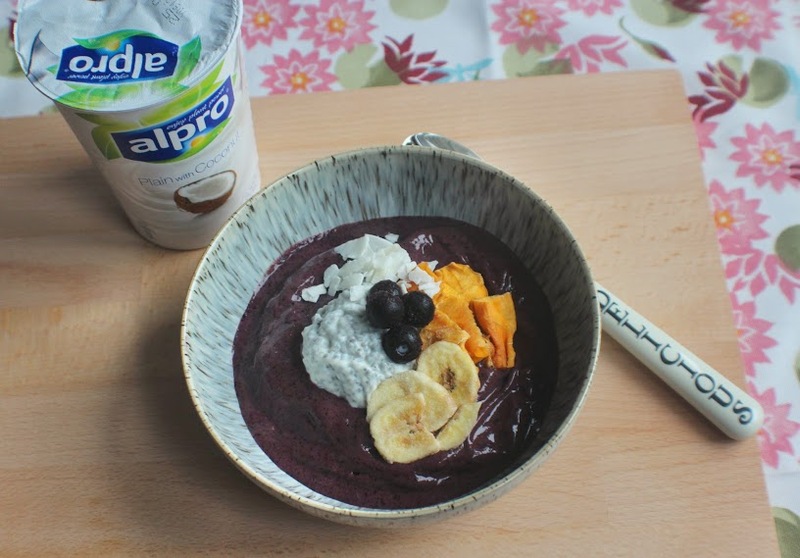 I’d love to know if you give this a go – remember to tag me on Instagram / Twitter – and be sure to tag Alpro on Instagram / Twitter too!